Science: Advances in data, modeling, and analysis allow precise measurement and management of customer decisions and more targeted spending. Substance: Marketers can directly shape the business by evolving the customer experience and the development of products and services. Story: The ways to tell a story are morphing continually, drawing on richer digital interactions and more powerful communications tools. Speed: Consumer preferences, market dynamics, and product life cycles change with stunning velocity in a digital economy. Simplicity: Complexity is the enemy of speed and leading marketers are seeking greater simplicity. Brilliant. Clear. And please don’t even think about saying “Yeah…but they don’t understand our business.” If you’re part of a business on this planet in 2015, they apply. So…over the next five weeks I’ll cover each of these five elements translating McKinsey-speak into DMSpeak. 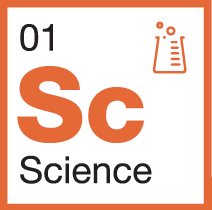 Today, we’ll start with the impact of science, as defined by McKinsey, is changing the way destinations market. DMSpeak: Customer data analytics are as powerful as a site inspection. Spend as much time (and money) collecting and analyzing data from your their worlds as wining and dining them in your’s. The Reality Check: As much as destination marketing long-timers like me say that the convention and tourism business is all about relationships, increasingly success is being built on data. Big data. Tourism is big business. And just like every other big business, knowing how and when customers act in the planning and even during the purchase and enjoyment itself is where the gold is. Focus groups are old world. Its now about engaging with your customers throughout the entire decision journey, and beyond, and identifying those points/places in the decision journey where a high-impact, well-placed message/action can activate the desired move in the decision process. This means destination marketers are going to have to make the collection and analysis of customer data an ongoing quest to compete with other destinations and even other non-tourism brands for consumer attention and cash. And tourism’s data-generation capability is boundless. So there is plenty of work to go around. What does that look like? : Google (and yes…they are increasingly becoming part of the travel ecosystem) published this amazing compendium — The 2014 Traveler’s Road to Decision. This is a mandatory reference guide for all destination marketers. Sleep with it. Ignore its data-driven insights at your peril. Then go and create your own. The Hack: Developing data analytics is not a natural part of the destination marketing culture. So before DMOs start a stampede to hire in-house data scientists, finding a competent partner is a good strategy. Because collecting tourism data is a community-wide undertaking, you’ll also likely have to develop some kind of community data-sharing protocol with your partners (e.g. hotels, attractions) to develop one set of destination analytics that the community can draw from to inform tourism strategies and tactics at the destination and individual enterprise level. And then imagine what kind of marketplace/customer advantage and loyalty you could create if you could develop a special set of analytics specifically for your tour operator and meeting planner clients to learn from. Now were talking. That’s a powerful destination marketing value proposition indeed. This Just In: The National Hockey League (hardly an enterprise ever mentioned at the cutting edge of innovation in the world of professional sport) recently published a new rich analytics website in partnership with SAP, presumably for fans that play fantasy sports who are looking for a big data edge. It seems big data is the newest fan magnet.